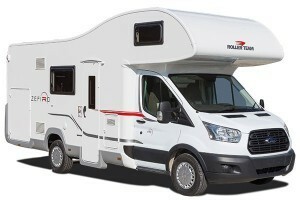 The Spacious Auto-Roller Zefiro 675 3-6 berth is a luxury motor home based on the Ford chassis with 125bhp turbo diesel and 6 speed manual gearbox, that drives more like a car. 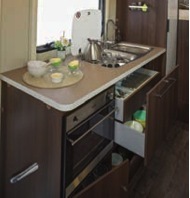 To complement this it has ABS brakes, cruise control, cab air conditioning and power steering. 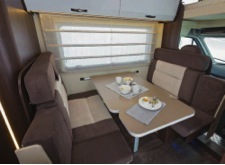 The Dinette area has an excellent layout with extensions for seating up to 6 people.